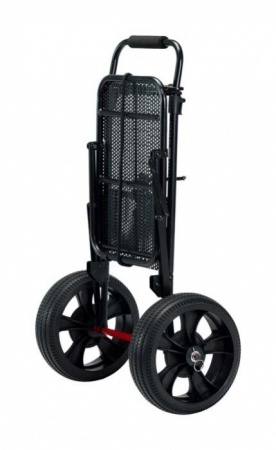 The Isabella Trolley is indispensable for camping and caravan trips. It takes the hard work out of lugging a full water container to your caravan, tent or motorhome. With chunky wheels it is great for loading up with your cool box, chairs, sunbeds and bags as you potter off to the beach or a picnic in the woods. Holidays are about relaxing to why make life hard for yourself by struggling with heavy items when you can pop them on your Trolley. 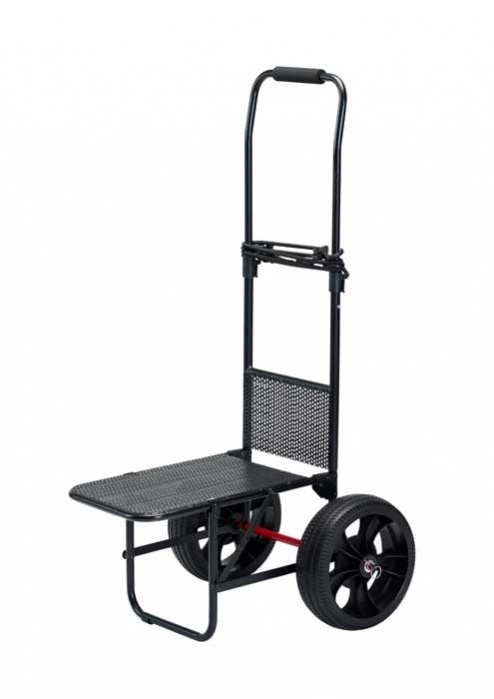 The Trolley is constructed of steel and has a load capacity of 50kg and weighs 5.9kg. The wheels are strong and 27cm x 8cm and because of their width they are easy to pull across grass, sand and gravel without too much of a problem. The carriage plate is 29 x 40 cm in size making it suitable for bags, luggage and shopping too. What's great about this Trolley is that it folds down to 82cm x 50cm making it easier to store when not in use. When unfolded it is 110cm x 50cm x 59cm.